Giannantonio Mingozzi, TCR President, has confirmed that Ravenna Container Terminal will support a new high school diploma. 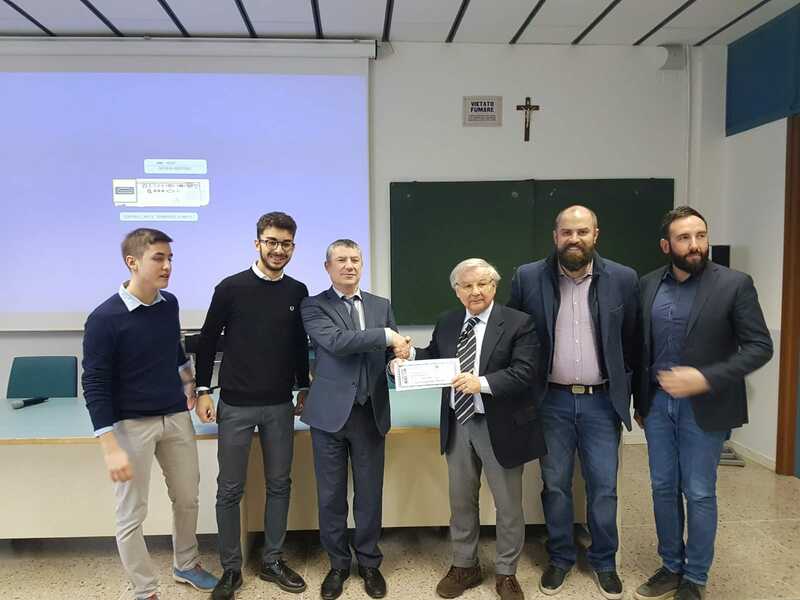 Giannantonio Mingozzi, president of Terminal Container Ravenna - participated by Sapir and Contship Italia - attended the ceremony for the “Valeriano Ventimiglia” study grants given by the Nullo Baldini High School, confirming the Terminal’s commitment to support the new diploma. TCR will support the purchase of a Ports Logistics Simulator, a new tool that will allow reproduction of ship loading and unloading scenarios that give students a practical understanding of port operations. Mr. Mingozzi underlined - before an audience of students, Principal Antonio Grimaldi and Course Coordinator Fabio Iezzi - how terminal operators have the duty to cooperate in training young students, using new complex technologies. Quality and safety improve competitiveness of our Port, it is very important for the medium and long term that the Nullo Bandini High School and the Ravenna University (which has just launched a new course in Port Laws) commit to training professionals in this industry.